Should Jefferson Park Keep Suburban Vibe - Or Become More Dense? The Jefferson Park Neighborhood Association will elect either Bob Bank, top, or Ryan Richter, bottom, as president Wednesday. 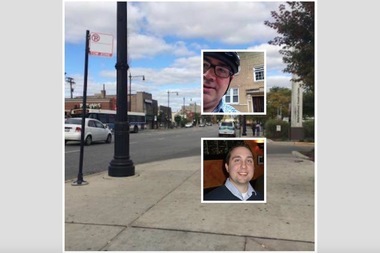 JEFFERSON PARK — The roiling debate over whether Jefferson Park should remain a suburban-like haven or allow denser developments near transit hubs and business districts will shape Wednesday's election of a new president of the Jefferson Park Neighborhood Association. The first contested election for president in the association's 15-year history pits Bob Bank, who has been a member since it was founded in 2001, against Ryan Richter, who joined the association in January. Bank, who served on the group's board for many years, said he decided to run for president at the request of several members concerned that the group was being taken over by new members who favored denser developments as well as efforts to make the area less dependent on cars and more friendly to bicyclists and pedestrians. "It is a proxy war," said Bank, who has lived in Jefferson Park since 1983 with his wife, Monica, and has three grown children. He has run unsuccessfully for committeeman and alderman. Richter, an urban planner, said the election is emblematic of a "polarized" neighborhood at a crossroads with two major redevelopment projects awaiting action by the Chicago City Council. "Bob Bank and I definitely represent those two poles," said Richter, who is married and has two daughters, ages 3 and 5. The election will take place on the same night as a meeting to discuss a planned 12-story development that includes a 96-unit apartment building, a 265-space parking garage and eight shops on what is now vacant land. The community meeting about the project will start at 7:30 p.m. at the Copernicus Center, 5216 W. Lawrence Ave. — 30 minutes later than originally scheduled in order to accommodate the election, Ald. John Arena (45th) said. 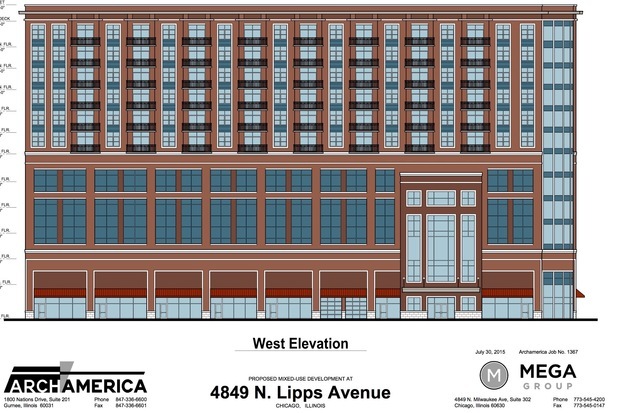 The 12-story project, along with a four-story, 39-unit development on Lawrence Avenue near the Kennedy Expressway promises to reshape the gateway to Jefferson Park and the business district, which has long been pockmarked with empty storefronts and vacant lots. On the Jefferson Park Neighborhood Association's Facebook page, Bank has been a vociferous critic of Arena and the two projects, both proposed by Mega Realty, which is led by Demetrios "Jimmy" Kozonis. Bank told a city commission that approved the 39-unit project that 100 percent of the project should be built with union labor, something not required by city law. On Facebook, Bank said the 12-story building would transform Jefferson Park into "Kozonisville, like Potterville" in the Christmas classic "It's a Wonderful Life." The aldermanic election earlier this year also turned on the issue of development, with Arena favoring dense residential housing developments near transit hubs and business districts to create economic vitality. He defeated Chicago Police Lt. John Garrido, who said Jefferson Park should not try to emulate neighborhoods like Bucktown. "People are moving north along the Blue Line," Richter said. "Jefferson Park could be next if we want it to." Bank said if elected he would work to "keep the character of the neighborhood" as it is with mostly single-family homes and two-flat apartment buildings. If elected, Richter said he would take a more pragmatic approach to increasing the area's vitality and ending years of declining economic activity near Lawrence and Milwaukee avenues. "My first instinct isn't to say no, but to listen," Richter said, adding that he favors adding density around the Jefferson Park Transit Center. "There is a vocal minority in the association that wants to see the status quo maintained." 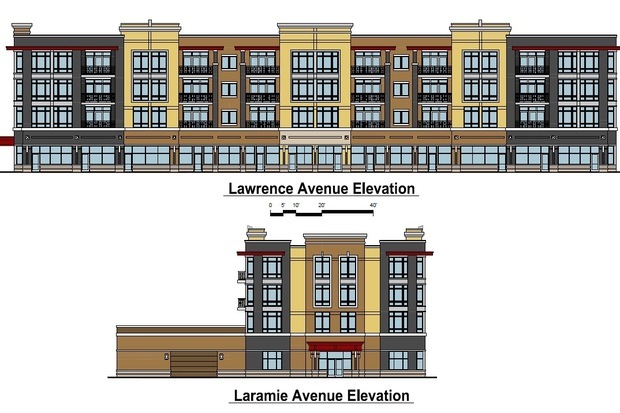 Bank said it was a "myth" that dense developments would bring new life to the Jefferson Park Business District. "I'm not against progress," Bank said. "I'm for good development." For the last several years, the Jefferson Park Neighborhood Association has been a thorn in Arena's side, opposing proposals to turn a long-empty concrete company storage lot into a five-story, 48-unit apartment complex that is in limbo as well as Arena's successful effort to ban strip malls for fear that it would reduce the number of parking spaces. "The association has become protectors of the status quo," Richter said. "The association should work for progress." But Richter said it was wrong to suggest he was a "stooge" who would do Arena's bidding if elected. "Nothing could be further from the truth," Richter said. Bank and Richter also disagree about a plan to raise property taxes in the Jefferson Park Business District by an average of $1,100 a year to fund an effort to fill empty storefronts and spruce up the commercial district along Lawrence and Milwaukee avenues. Members of the Jefferson Park Neighborhood Association can vote from 6:30-8:30 p.m. at the Jefferson Park Congregational Church, 5320 W. Giddings St. In addition, five members are running for three seats on the board in addition to the president's chair.